If you want to spend your holiday days on traveling in Vietnam, Sapa should be on your list of destinations. Sapa tours, Muong Hoa Valley is a spot which you should not miss. Starting as a small stream of water from the foot of Silver Waterfall about 14 Km northwest of Sapa town, weaving its way along mountains feet southeast between the two mountain ranges. About eight kilometers southeast of Sapa town, the two mountain ranges open wider to form the Muong Hoa Valley which get wider and wider as it goes further south about 30 km. 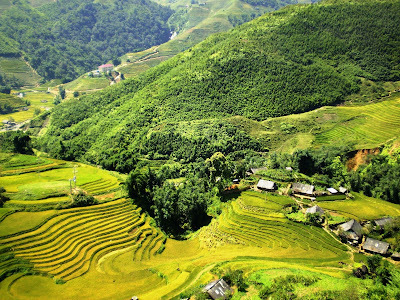 The Muong Hoa valley is famous for breathtaking scenery and is the largest farmland for rice growing in Sapa district. 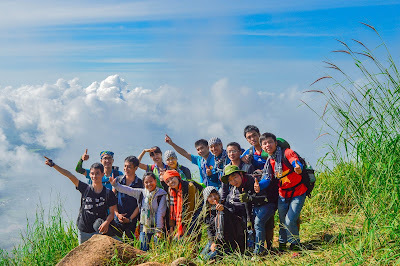 On the main road leading to Muong Hoa Valley, you will have opportunities to take photos and sight Sapa’s views. 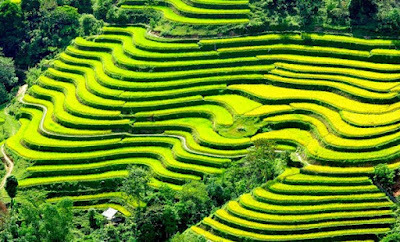 This valley has terraced fields which is the most beautiful terraced fields of Sapa. Cross the suspension bridge, you will be visiting the village of weaving and dyeing cloth of the Hmong and exploring Muong Hoa valley. 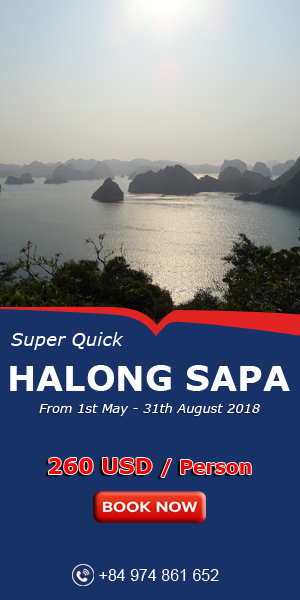 Exploring the magnificent Muong Hoa Valley to enjoy its breathtaking landscapes, you will also paying visit to small and isolated hamlets and villages meet the Black H’mong, Zay and Red Zao at home. 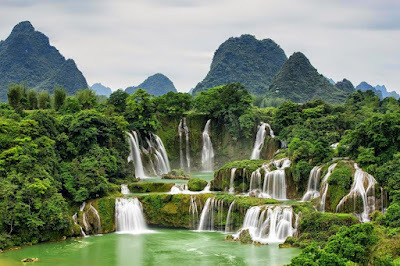 It takes about 5 hours for visitors to walk downhill to the valley, tracing the Muong Hoa River, through its terraced fields and passing hamlets of minority groups in Muong Hoa Valley. 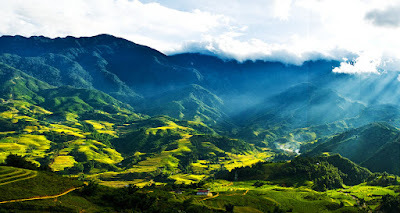 The valley, being part of Mountain Fansipan's varied topography, is at the lowest altitude of about 1000 meter and is the home for H'mong, Zao, Zay minority groups, who have been working on the slopping land and living their own ways of life for hundreds over years. Muong Hoa River peacefully flows through the valley, weaving itself along foots of mountains, nourishing the earth and the people. On rice season, the rice farmland valley serves up different shades of green and yellow, in ranges of ranges. Patches of colors lining side by side each other creates amazing sensual patterns and a sublime and majestic landscape. 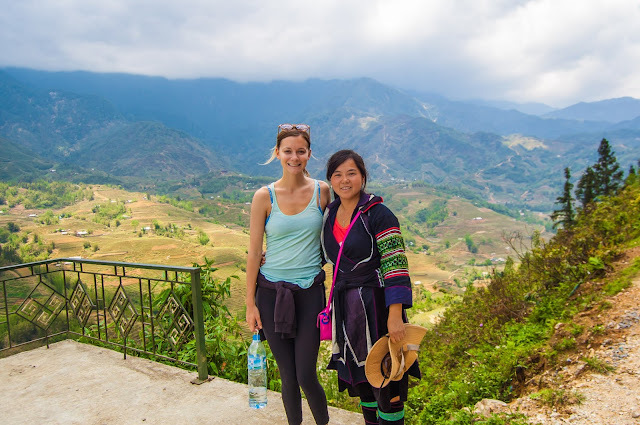 Visiting Sapa’s Muong Hoa Valley, you will have chance to enjoy an easy walk downhill and along Muong Hoa River, through terraced fields passing some hamlets of the H’Mong people as Y Linh Ho, Lao Chai…, watching the locals at work. In the night, spending in Ta Van village which is Giay minority’s unique village in Sapa will be an excellent and remarkable experience.